Finding ourselves in a society that feeds on the schizophrenic rhythms of daily life, and one that is becoming more and more careless, we should start to take advantage of the activities that remind us of our connection with the earth, and of course, with our bodies. As humans, we don't do nearly as much as we once did, and still can do, with our hands. Small things like, kneading pizza dough or bread, growing and tending to vegetables and fruit, little hobbies that not only saved us money, but made use of the skills we were born with. The same applies to our bodies; our lives have become so fast that we forget to be aware of the cues our bodies gives off—aches in muscles and joints, and even discrepancies in our breathing. For the latter case, the most creative solution can be found in yoga, a practice that teaches the proper balance and choreography for the soul and body, and one that also helps us to discover our inner eye. How many times a day to do you take the time to wriggle your toes, or release the pressure in your hips? Whether or not you are a fan, or already practice yoga regularly, it is possible to bring this essential space into your own home, especially for those days you cannot find the time to go to the gym or studio. Today, we are going to explore the characteristics that a home yoga space should have. One of the most basic rules is to make a space as simple as possible, as the interior decoration of a house should not be overloaded with too many details. We should in fact, focus on our senses, avoiding unnecessary distraction from external elements. For example, if we choose a style of modern, minimalist design, this is the most suitable place to lay our yoga mat, where the main piece of furniture will be represented by natural light—the windows. 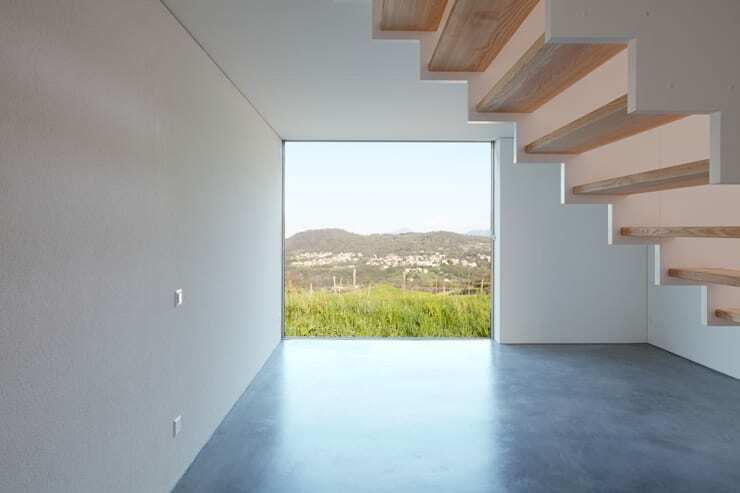 The ideal situation can be found in this picture; with two transparent walls that oppose one another. If, as in the example, those large windows become sliding doors, you have the possibility to create yet and even more yoga-friendly environment, letting our practice connect us with the nature outside. There are many different yoga styles to choose from, some focus more on relaxation and breathing (pranayama), and others are more of a physical challenge. Either way, it is important that the atmosphere is conducive to meditation, and should have access to delicate and soft lighting. 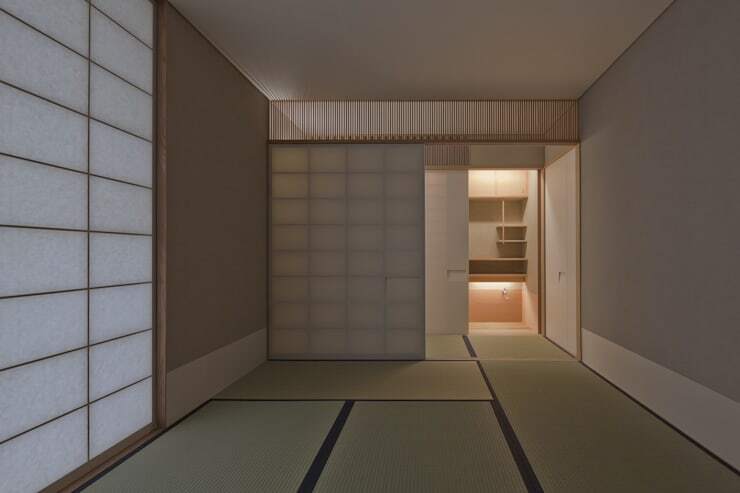 In this house, which has a distinctly Japanese feel, we can see the cross-reference and relationship between shadows and light. This room can be utilised as both a restorative bedroom, or as discussed, a calm space to practice evening yoga. Of course, this large window is a feature we can all benefit from. For our perspective, contact with the outdoors is a preferred option when practising yoga. If it's winter, and you aren't exactly the type of person to camp, then this beautiful full-height window allows us to see every corner of nature, even if it is filtered through a transparent wall. 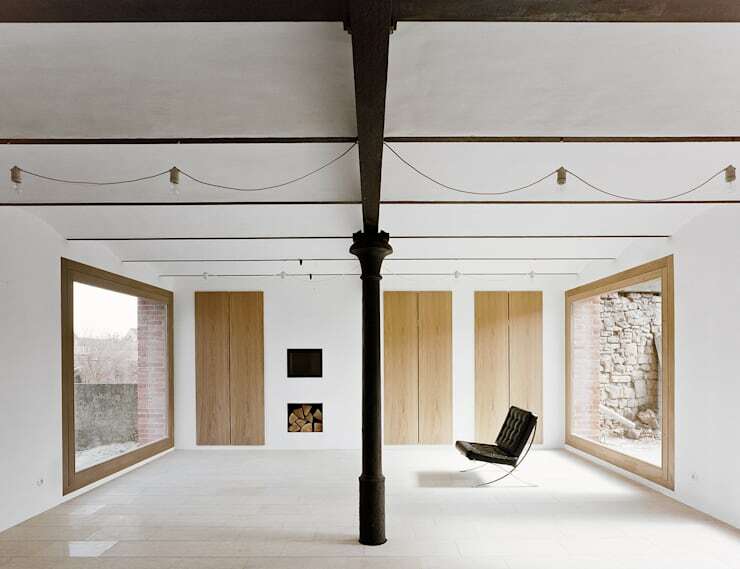 What we see in this photo is a perfect combination of simplicity and raw materials, all aimed at making the landscape the main protagonist. If you love yoga, and belong to the category of lucky owners or tenants whose house has a garden, you can consider the possibility of setting up a beautiful conservatory that allows us a privileged view such as this. In this photo, we see how even when inside the home, we are completely surrounded by the sight of a well-maintained and luscious green garden. The parquetry flooring is the perfect finishing element for our winter garden, suitable for yoga, as well as for dinner with friends. Because of its simplicity, you can really do whatever you please in this space, packing up tables and yoga mats as you see fit. We conclude our review of tips for creating our own yoga space at home, with an example that concerns the exterior of our house. This is again, for those lucky few, who have access to a rooftop or terrace, or any raised open area that looks directly out onto a garden or pretty landscape. 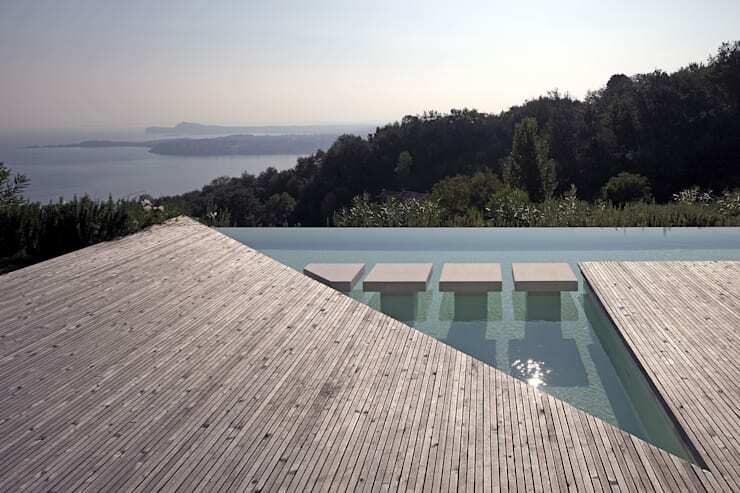 The experts behind this project have gone one step further, creating a stunning rooftop pool where you can enjoy the sun and picturesque surroundings. This space would also be a wonderful spot to undertake an session of outdoor yoga. There we have it, 5 tips to complete your own full, or makeshift yoga studio at home. If you are feeling relaxed and in a state of zen, then go on, get your own yoga space ready!